Brad&apos;s a little freaked out to find out who Wylie&apos;s birth mother is. Julian tells him to stay away from Willow because the less she sees the baby, the better. 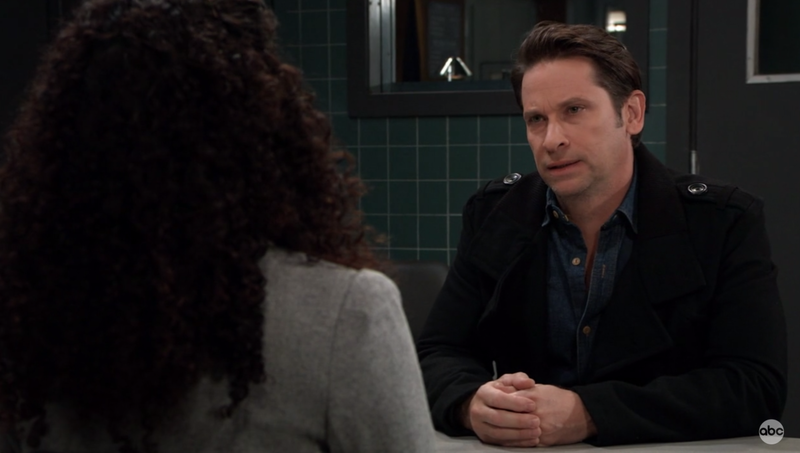 Brad asks what would happen if the baby got sick and needed something medical, but Julian assures him that those odds are very small (foreshadowing anvil just dropped on my head). Kim tells Drew that Julian slept with someone else, then dumped her. She doesn&apos;t understand why Julian is still doing things for her, like having her apartment cleaned and her car tuned up. Drew says Julian isn&apos;t ready to let her go. Alexis stops by Dawn of Day to join Kristina in today&apos;s course, which is about, "Finding Yourself in Relationships." 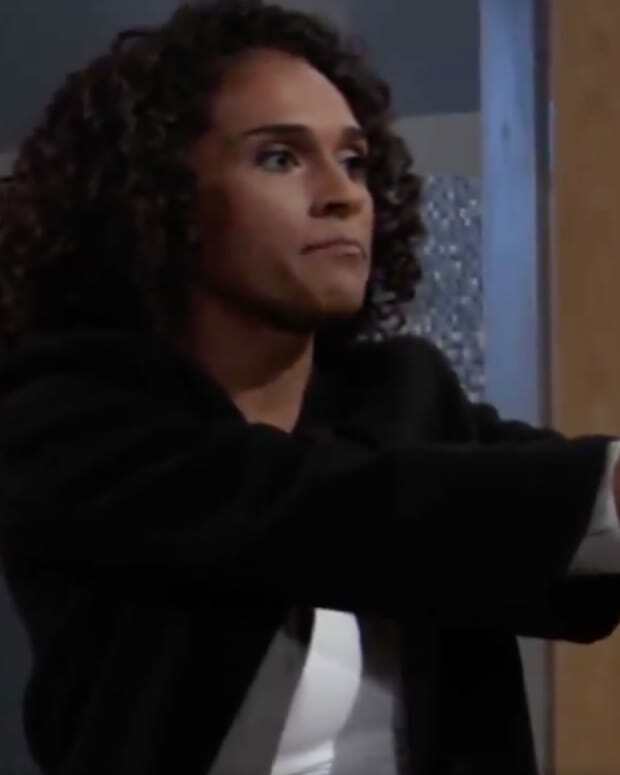 Shiloh pushes Kristina. She admits to her mother she wishes they would get along better and communicate more. Kristina also wishes she and Alexis would fight less and respect each other more (here&apos;s a crazy thought Kris, stop snarking on your mother every chance you get). Alexis admits that Kristina is not living the life she envisioned. Shiloh then has Kristina turn the questions to Alexis, who refuses to participate. Kristina continues to push about Julian. Alexis finally breaks and admits she wishes she felt the way that she did when she was with Julian. Liesl calls Valentin to remind him she needs income and he needs to find her employment. Valentin talks to Peter and tries to convince him to hire Liesl at The Invader. Peter points out that Liesl tortured and nearly killed him. Peter realizes that Liesl has leverage on Valentin that will likely cost him Nina. Nina, Maxie and Liesl raise a glass and toast Nathan on the anniversary of his death. Nina says she&apos;s putting together a history of Nathan for James. Liesl notices that Maxie isn&apos;t wearing her wedding ring and thinks she lost it. Maxie says she removed it because it was time. Nina points out that everyone grieves in their own way. Liesl asks if Maxie is seeing anyone, but she denies it. Franco has library books about being gay and gives them to Liz. She feels Aiden needs to come forward with this on his own terms and not to force the issue. Julian finds Ava hanging around the hospital. She says she&apos;s waiting for Lulu to identify the attacker so she can deal with him. Julian warns her that it&apos;s not a good idea to get involved. Julian tells her to go away with Kevin, but she turns it back on him and Kim. Julian tells her that he broke up with Kim after lying about sleeping with someone else. He feels he won&apos;t be a distraction to Kim, but Ava tears a strip off of him for withdrawing his support, just when Kim needs it most. Franco says he didn&apos;t know Peyton, even though the producer had "talk to Franco" written on his files. Franco says Peyton called him, but he never returned the call. After Chase checks out Franco&apos;s phone, he&apos;s released. Lucas and Brad spot Liz with the books, so Liz tells them about Aiden. Lucas asks the important question, does Aiden like boys? Liz points out that he&apos;s only eight. Brad said he knew that young, but Lucas says he didn&apos;t figure it out until puberty. Lucas says it will take awhile for things to get better, but tells Liz to create a safe environment for Aiden so he can feel free to talk to her. He says he has her back. Julian stops by to see Kim. He tells her the truth that he didn&apos;t cheat on her. He admits he was jealous of her kiss with Drew and thought she was better off without him. Julian says Kim makes him a better person and he loves her. Jordan tells Chase to set up a meeting with Kevin to see if Franco is capable of these attacks.